Ugh. I feel SO stuffed, I ate SO much, why did I eat that second piece of chocolate cake? That second scoop of ice cream? Who has been there? If your hand isn’t raised, I’m going to lovingly say you’re in denial. In this society we are constantly inundated with excess and we have ALL had holidays, vacations, or just nights at home in which we cave to cravings and later experience the unpleasant aftermath of a food binge. Ever had that pit in your stomach on the flight or car ride back from vacation? You feel like it will take a month to get back on track after that week of binging on foods and drinks you would normally pass up. It’s what I want to avoid on every vacation I go on this summer and forever. And it’s not because I need to always be a picture of perfect health, but rather because when I’m eating mostly fresh foods, drinking plenty of water, and getting a good balance of rest and exercise I feel GREAT. Breathing reduces stress and allows us to digest. There is something powerful about having a plan for the morning. It not only ensures we will get the nutrition we need right out of the gates but having a plan for the morning leaves us feeling empowered to choose what we will do and in which state of mind we will do it all day. When we start our day on the right foot, we are not victims of the day but we are intentionally moving through it with responsibility and conviction. Hard boil a dozen eggs and slice cucumber and carrots on Sunday, then eat 2 eggs and some veggies each morning with zero prep time. I am a little bit obsessed with slow cooker meats right now - partly because they are making my life SO much easier, and partly because I can have the same recipe 4 weeks in a row and still not be sick of it. :) Try this slow cooker pork (with or without the salsa verde) or this barbacoa beef. There are tons of great slow cooker meat recipes out there and I usually ignore the instructions and put all the ingredients into a crockpot on high for 4 hours or low for 6-8 hours. Slow cooker meats can be scrambled into an omelet for breakfast, reheated and eaten over greens for lunch, or eaten with a potato and veggie hash. The options are endless but slow cooking meat is the antithesis of spending time cooking, and having the meat pre-cooked makes all meals quicker. But it feels like every single time stress still gets the best of me. I'm sitting in traffic watching the minutes tick by on my clock, stewing on how annoyed I am that I didn't leave earlier, and stress slowly starts to cloud my mind. Then as I start to get flustered and my husband remains calm, I get mad at him for not stressing out with me (which I acknowledge is ridiculous). Then being mad stresses me out more! It's a lose lose lose scenario. We can care deeply about something without stressing about it if things go wrong. In fact, my stress about a situation - or about a failure on my part - does not indicate a single thing about how deeply I value it. But my stress does indicate that I cannot come to terms with reality and accept that I am not in complete control of my life. Similarly, when a loved one stays calm - even if something that really matters to you is not going as planned - it does not necessarily mean that he or she does not care about it... or about you. Each one of us is individually responsible for how we react to situations outside of our control and (even more importantly) our own failings. We never HAVE to stress about anything. You can care about something without stressing about it. Do any of these suggestions strike home for you? Do you have other strategies you use to keep your sanity when life gets busy? Let me know in the comments section! We all know the feeling: you are leaving the office 30 minutes later than planned, will have to meet your man at the Christmas party instead of going home and driving together, and need to swing by the store for the appetizer you promised to bring. My philosophy on situations like these is that they are NOT the time to all of a sudden decide to be dietarily strict, but rather they are a time for picking the best option and rolling with it. 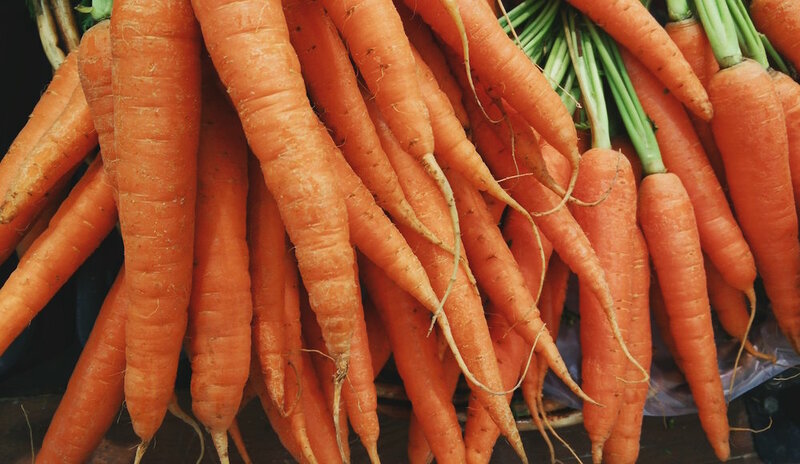 There are many great reasons for choosing to strictly avoid foods - gut healing, addressing an auto-immune condition, leading up to an important race or event, to name a few - but if you are not in the middle of a strict diet plan, this potentially higher stress evening is a time to pick the best option you can find, relax about any not-so-ideal ingredients, and enjoy the party. Stressing about the food will disrupt your digestion much more than junky oils, sugar, or artificial flavors... but that's another story. This is a fun and festive option - especially if you have a cute little serving dish you can put it in. Pecans are a good source of healthy fats and magnesium, which will be a nice balance to the other appetizers which will likely be very carb heavy. Just buy some raw pecans and your favorite dried fruit, and mix them together in the bowl. I like pineapple, but you could use mango, cranberries, or any other fruit you prefer. Watch out for: Added sugar to the dried fruit, which can especially be a problem with cranberries. Brand suggestion: Steve's Paleogoods carries dried cranberries that are sweetened only with apple juice. I haven't seen them at any local grocery stores, but Amazon carries them. Other than that, pick the dried fruit option with the LEAST added sugar. Any raw pecans would be great, preferably organic. 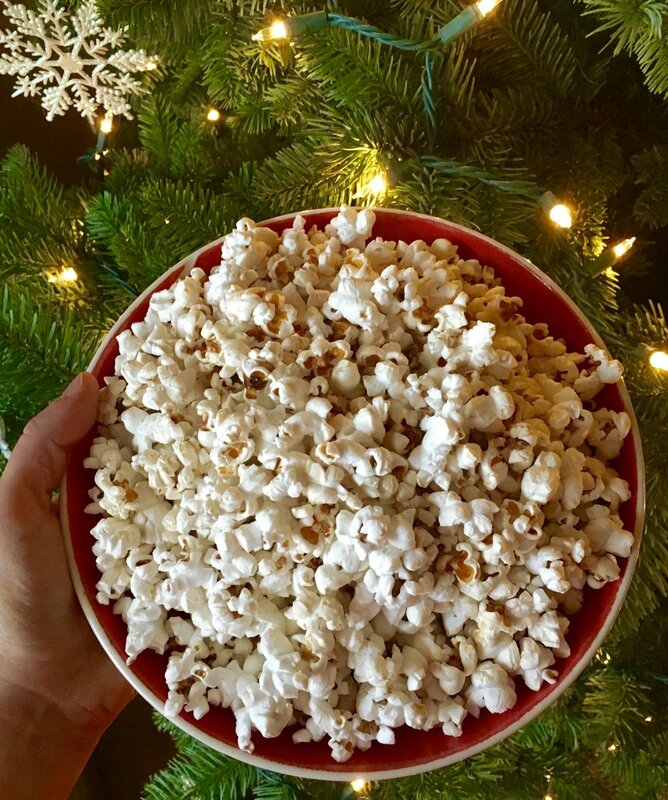 Quite possibly the simplest option, very few people dislike popcorn and many associate it with the holidays. It's also very trendy to serve popcorn as an appetizer - Linger is a fantastic tapas-style restaurant in Denver that serves popcorn with different seasonings daily instead of bread or chips and salsa. Watch out for: Junky oils or anything other than popcorn, salt, and oil on the ingredients list. Olive oil would be the best option if it's available, I would also go for expeller-pressed sunflower oil. Since neither of these oils holds up well at high temps this is not an ideal option but an OK compromise when you're in a pinch. Putting together a platter would be only slightly more involved but is still a good quick option that will likely earn you some fancy points at the party. Go to the cured meat section and pick out some prosciutto, salami, or whatever else suits your fancy, a block of white cheddar cheese, and a can of olives. When you get there, drain the olives and set them in a bowl on a platter with the meat arranged around it and the cheese block on the side. Watch out for too many ingredients in the meat. It will likely list dextrose (sugar) and some form of nitrite, nitrate, or celery juice powder in it, but it should still have 0 grams of sugar and it shouldn't have powdered nonfat milk or any extras. I like Applegate Farms which is fairly widely available. Choose a white cheddar cheese that doesn't contain anatto (an artificial color that turns it orange), and pick the option that is the least pasteurized or homogenized. Watch out for junky oils in the olives. Lindsay Naturals has a variety of options and contains only olives, salt, and water. I hope you have a stress-free holiday season and that these tips come in handy for you to enjoy the festivities. Do you have any other ideas for grab-and-go appetizers? Let me know in the comments section below!